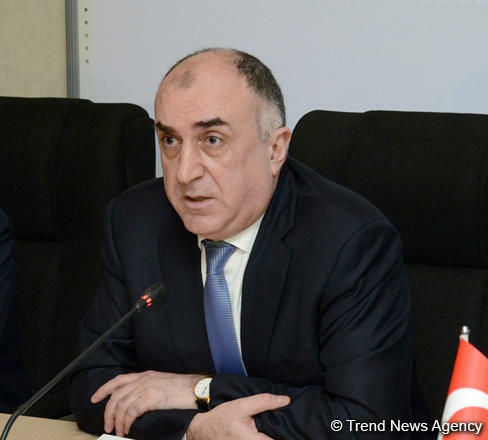 Azerbaijani and Armenian Foreign Ministers Elmar Mammadyarov and Zohrab Mnatsakanyan will meet in Brussels on July 11, 2018, the Azerbaijani FM told reporters on July 9. The meeting will be mediated by the OSCE Minsk Group co-chairs Igor Popov of Russia, Stephane Visconti of France and Andrew Schofer of the U.S. Andrzej Kasprzyk, the Personal Representative of the OSCE Chairperson-in-Office, will also join the meeting. Mammadyarov noted that the OSCE Minsk Group co-chairs have already completed preparations for the upcoming meeting, which will discuss the negotiation process on the settlement of the Armenia-Azerbaijan Nagorno-Karabakh conflict.